Back of the Cereal Box: The Question Is This: Why Don’t I Already Have a Tomy Hootbot? The Question Is This: Why Don’t I Already Have a Tomy Hootbot? What? 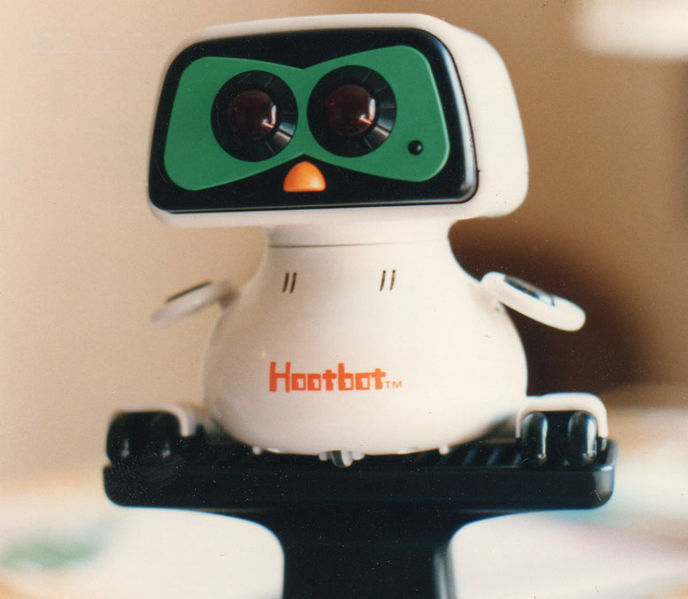 There early 80s had a fad involving the Tomy-brand Hootbot, the robotic owl of joy? And this thing looks like this? Listen very carefully: I don’t care what this thing even does. I need one. I can’t live without one. It is the one thing that has been preventing me from achieving personal happiness. What’s that? You can show me what it does? Well what are you waiting for, man? Show me. Ahem. So, I see that all it does is make different kids of noises. Essentially, it’s device to annoy people around you, then? Yes, you’re right. This does, in fact, deter me from wanting to track down a Hootbot down. No, I must now find one hundred of them. Because I’m starting a band. I am a child of the 80's and never saw it before. I suppose you'll have to make do with a USB Robot Owl instead. How did I not know about this as well? This is totally getting a post.